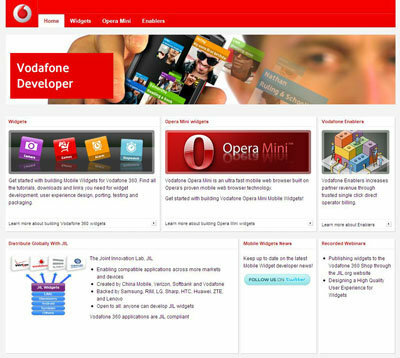 Of the more focused the user part, also want to devote an entry to the focused part developers. And it is that many of them have been long waiting for, which until now only offered to a very select group of developers. Now Palm opens a little more hand, although not completely, and offers the possibility to more developers get it. To do so can register on the page developer of Palm, where we will have to indicate, in addition to our data, which is the application that we want to develop and a description, by which supposedly will provide access, at the moment, only they consider more interesting. Later, when the SDK is already complete, open access to everyone. Taking advantage of the presentation, Palm has indicated that they will offer a service in the cloud, although without make it too clear which will be their goal, but the description seems a system similar to the system of push notifications that will offer the iPhone OS 3.0. It, web applications can send information automatically to your phone, without having this be asking it continuously, so it is imaginable that messaging applications and similar could use this system to reduce their consumption of battery and memory.